Fixed Iron Sight ATPIAL series Lasers, fits LA5, PEQ15, and C models Mounts in front of your ATPIAL and only takes one half a pic slot forward of the unit. 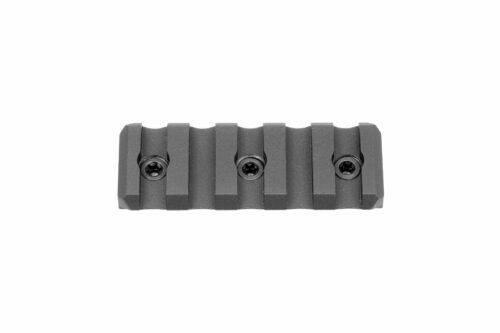 Gain valuable rail space by eliminating your folding front sight. Co-Developed with Sage Dynamics for the NVG end user. 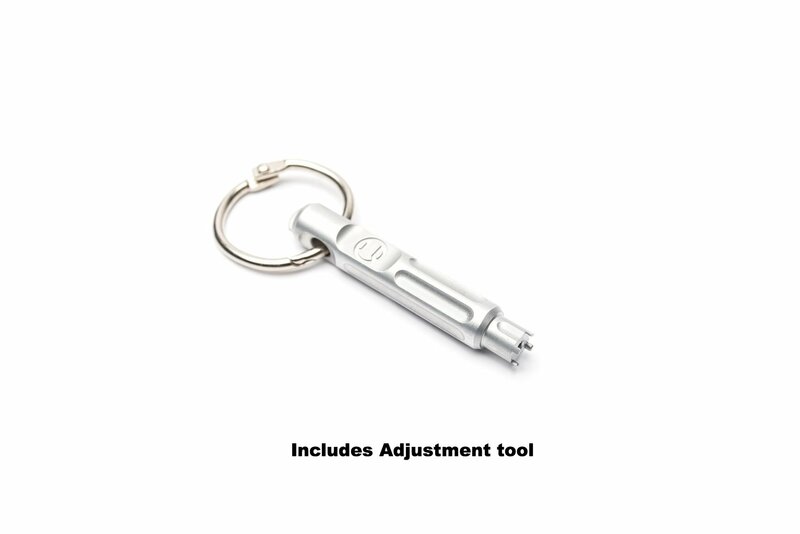 Includes fine adjustment tool. 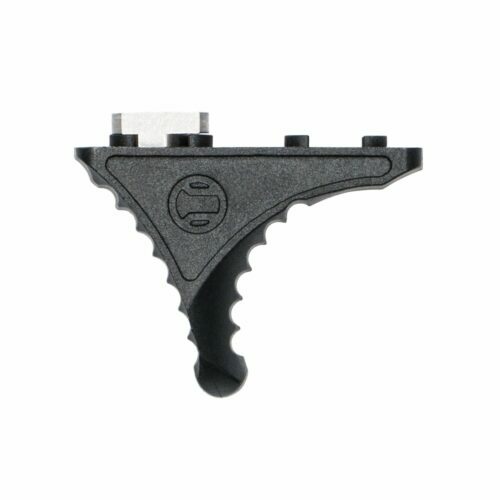 Fixed Iron Sight ATPIAL series Lasers, fits LA5, PEQ15, and C models Mounts in front of your ATPIAL and only takes one half a pic slot forward of the unit. 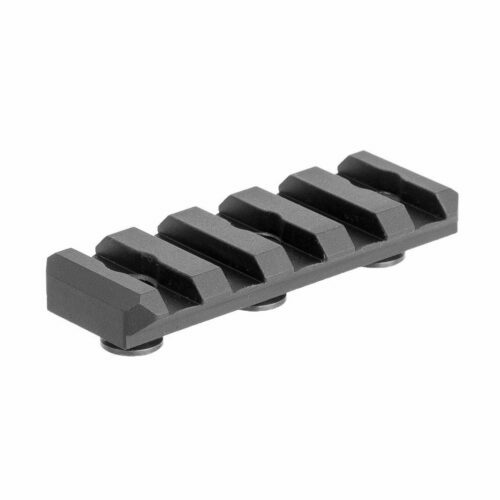 Gain valuable rail space by eliminating your folding front sight. 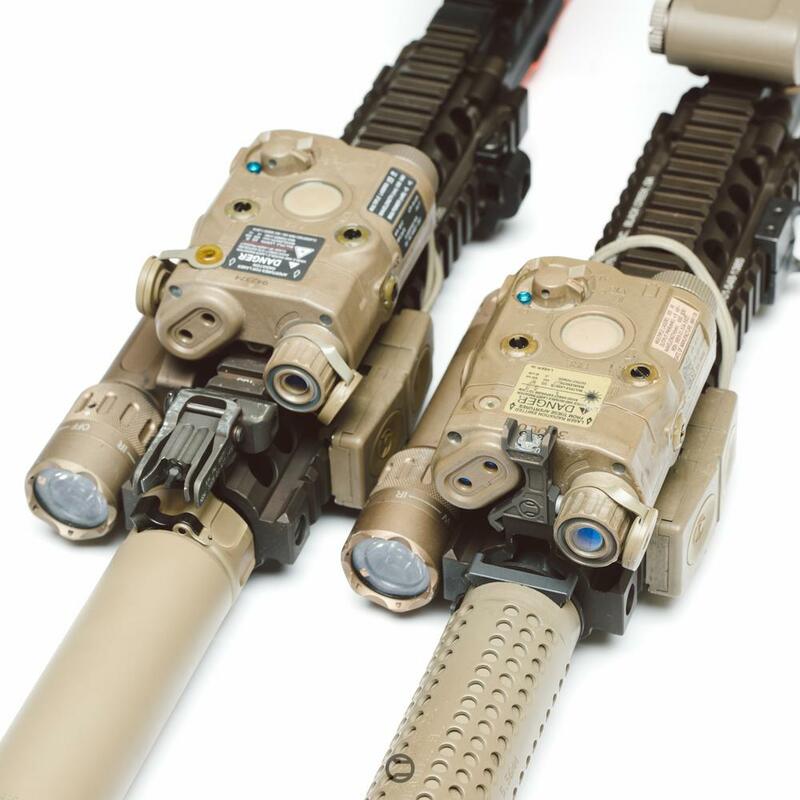 Co-Developed with Sage Dynamics for the NVG end user. 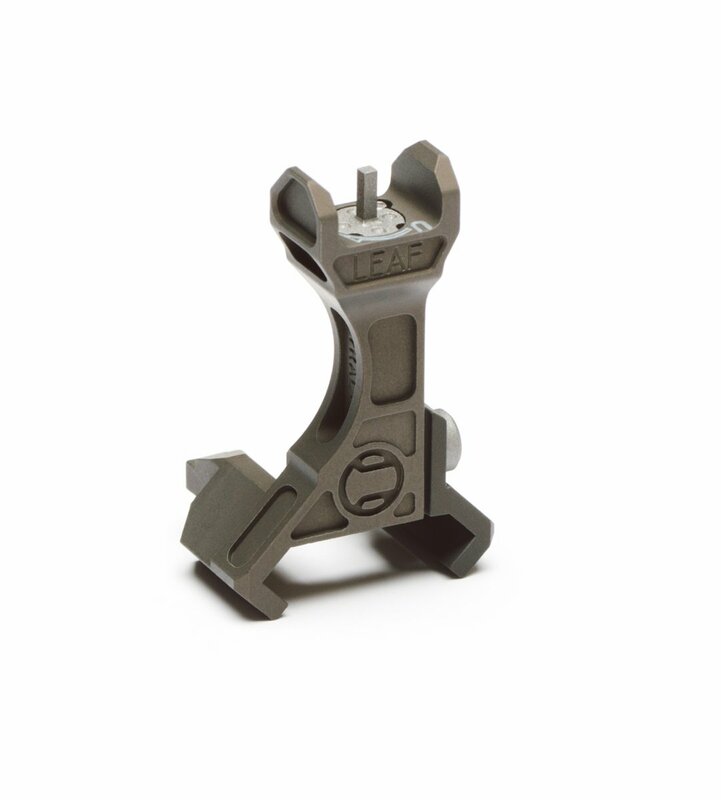 The PEQ – LEAF® is a fixed adjustable front sight that attaches to picatinny rail systems. 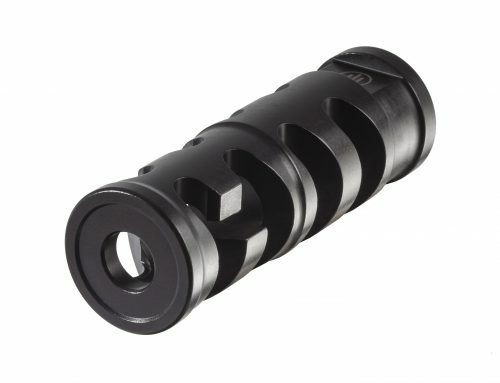 It was specifically designed to decrease the mounting footprint of the AN/PEQ15 ATPIAL series laser on the MK18 Mod 1/CQBR weapon system using the Daniel Defense® RIS II Rail (P/N:DD-8020, NSN:1005-01-548-1385). Currently, the issued Knight’s Armament Company® MK18 front sight (P/N:99051, NSN:1005-01-473-1410) is used with an PEQ/ATPIAL series laser, which creates ergonomic and functional issues. In addition, 12 o’clock rail space for optimally mounting illumination/laser pressure pads is greatly diminished. 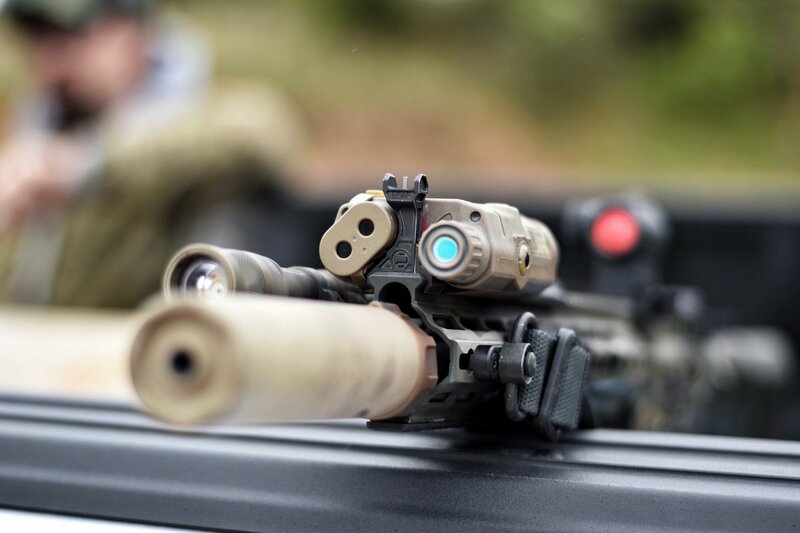 Using the KAC MK18 front sight also creates IR splash from both the illuminator and the laser apertures which greatly increases the users IR signature. The PEQ – LEAF® eliminates both of these problems by mounting in front of and underneath the PEQ unit with almost no perceivable footprint. 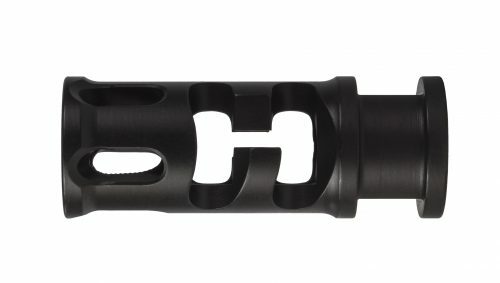 PEQ – LEAF® places the PEQ unit 6 picatinny slots closer to muzzle. This creates a 60% smaller footprint allowing an extra 2.364 inches of top rail space for optimal pressure pad placement. This gives the user’s pressure pad ideal placement for increased ergonomics and activation. 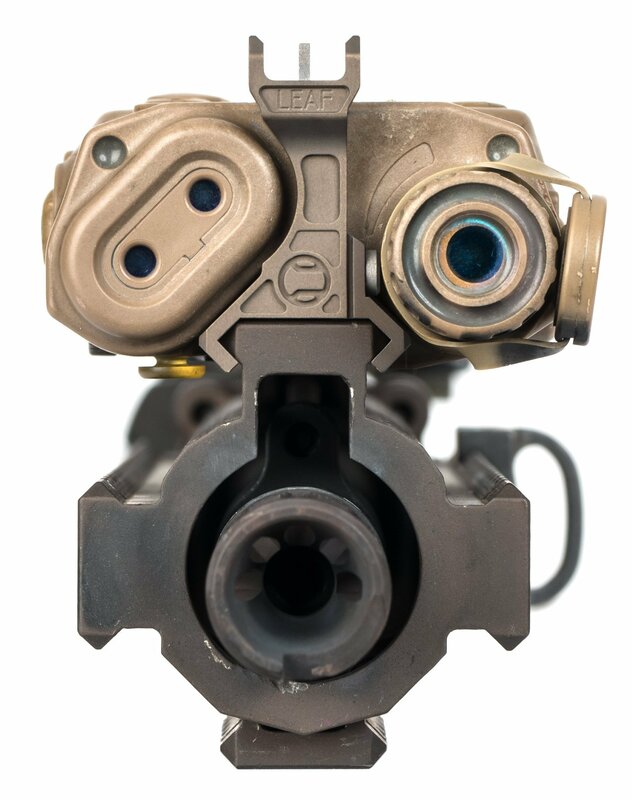 This also pushes the laser to the forward most position allowing the Infrared apertures to clear the beam lenses eliminating all beam splash from the front sight. 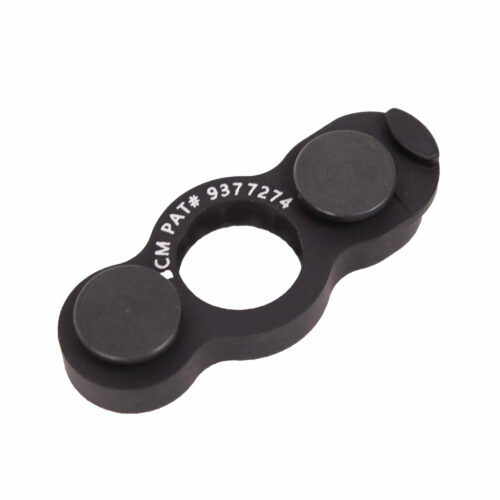 PEQ – LEAF® weighs in at a featherweight 0.2oz, 85% lighter than the issued KAC MK18 sight. It is also 27% thinner and 87% shorter. 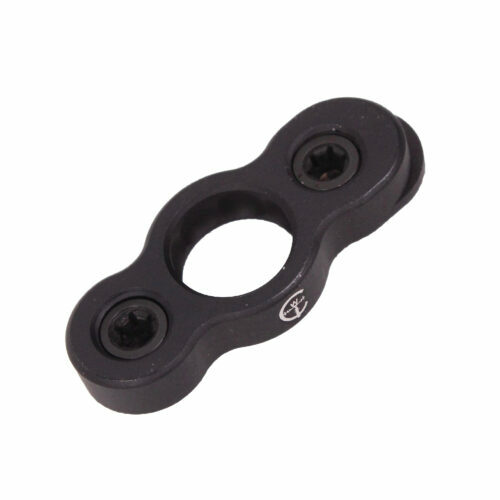 The PEQ – LEAF® is CNC machined out of 7075-T6 aluminum then finished with a Type 03 hard coat anodizing. 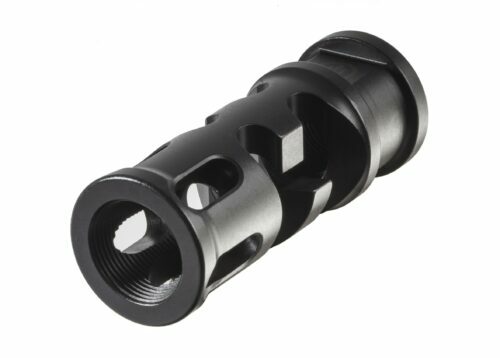 The screw is machined out of 416 stainless steel, heat treated, and then coated in black oxide. VIEW FULL SPEC SHEET PDF HERE.